We are Utah's Preferred Choice for all things Heating & Air. 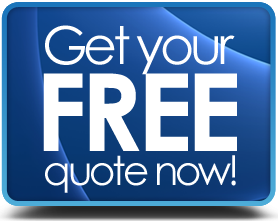 For a Free Instant Quote, Simply Click the Button Below or Call us at 801-515-0220. We look forward to speaking with you! Is your home in need of a new heating or air conditioning system? Is your current HVAC system in desperate need of a repair or even a simple tune up? Are you experiencing a cooling or heating Emergency?!?! No matter what time of day (or night it is) we are available at any time. Give us a call and see for yourself why we are the preferred choice for all of your Heating, Ventilation, and Air Conditioning needs. the best customer service in the area! Give us a call today at 801-515-0220 or simply fill out the form to the left for a Free Quote on your Heating and Cooling needs. We look forward to speaking with you! How is the Air Quality Inside your home? Do you suffer from Headaches, Sore Eyes, Fatigue, Allergies, respiratory problems, constant cold like symptoms? When was the last time you had a professional check your heating and cooling system? These symptoms are just some of unpleasant effects of a heating & cooling system that needs a check-up and cleaning. Indoor Air Quality a cause of Poor Health? Indoor air quality has fast become a big issue affecting folks all around the world. Here at Amstd HVAC Services we understand heating and cooling and the need to keep your home safe from pollutants and hazardous air quality. Thus we want you to live without the air congestion. The air we breathe every day is a product of how we live, we may not be able to completely control the outside of our home but is important that we make sure inside our homes it is a refuge of all the pollutants that can cause acute and chronic health problems. Indoor air quality is affected by the conditioning of the outside atmosphere that's taken indoors through the air conditioning or heating systems. If these systems are not maintained, the standard of indoor air will be reduced. Just a few simple maintenance steps can help improve the air you and your family breath. A lot of us have year-round air-conditioning systems that cool and warm our houses in the winter and summer. We are often exposed to indoor air pollution even when spending plenty of time inside. You should protect your family by having a professional service company evaluate your system and ducts and do any cleaning that is needed. Improper temperature, ventilation, humidity, chemical contaminants can also be a detriment for inside air quality. Home air quality and the way your air conditioner affects this important necessity of clean air should be a concern since the average American spends a lot of time inside. Indoor air quality is 2-4 times more polluted compared to the outside atmosphere even with a clean air conditioning filter. Air pollutants are circulated in your house by your air-conditioning system. Many of these pollutants contain smoke, pollen, chemicals from cleaning products, mold and mildew, dirt and dust, pet dander and other allergens. Maintaining a good quality of indoor air is a challenge that many times needs professional help. If you'd like to avoid serious health problems, you must get your indoor air quality analyzed. As a professional HVAC contractor company, we are experts on indoor air quality, and the systems that impact it. We can test your air and go over with you some steps you can take to improve your air quality. Keeping the air in your home fresh by leaving doors and the windows open is not always the most practical method of airing out a place. Home ventilation systems are a better choice, particularly when the seasons change and you also end up with weather that is too cold or too hot to leave the windows open. When your home has proper ventilation, the air quality that you breathe will see considerable improvement. It's possible for you to control humidity levels while eliminating contaminants that can be bad for your well being. A ventilation system filters the air coming into your home; this filtered air then combines with the air already inside the home. Circulation enhances and helps the energy efficiency of your cooling system while also providing you with an atmosphere that's a lot healthier. A ventilation system provides multiple benefits. It prevents extra warm or cold air from getting into the home; keeping the internal temperature nice and stable; most importantly, it improves security because doors and windows must be closed when it's in operation. A ventilation system is designed to expel stale air from inside the home and draw in fresh air from the outside. The variety of ventilating systems include little units that are well suited for single rooms, and larger, more powerful systems that possess the capability to ventilate the whole home. Besides making homes more comfortable, healthier and cleaner, installation of air ventilation systems makes sensible, long-term economic sense. Because of their ability to maintain the stable internal air temperature, warming/cooling systems work far less hard than they would in a fluctuating temperature environment. In the long term, the payoff could result in big savings. We would be happy to go over all of your choices to improve your heating & cooling ventilation needs! Germicidal UV Light Systems are a non-chemical approach to killing pollutants and other bacteria. The process utilizes germicidal lamps. Germicidal UV Light Systems produce a given amount of ultraviolet (somewhere around the 16'000 and higher micro-watts per second in a square centimeter). To destroy microorganisms the intensity and the amount of time, the organism is in the ultraviolet light, must be correct. Germicidal UV light systems are a very effective method of killing a very wide range of particles. The UV light works by breaking down the molecular structure of an organism's DNA. The wavelength to accomplish is 264 nm. However, there have been tests ran at a lower rate that also has had very good results. Don't forget the time the organism is in the ultraviolet light determines the kill rate. This system has shown to be very effective for having a better air quality and is perfect for someone on a lower budget. The use of Germicidal UV Light Systems in circulating air systems will destroy 99.9% of all bacteria and mold. As more people are learning about microorganisms and removing them from the air and water in homes and businesses we have seen an increased demand for UV light systems. We can show you how you can see an improved air with the implementation of a Germicidal UV Light System. If you or your kids have suffered from allergies in your home, this is often as a result of poor air quality in the house. While we offer many solutions for this problem, one of the fastest growing options is the Germicidal UV Light Systems. By removing harmful bacteria, mold, and other problems from the house you can see an improved air quality resulting in better health. Amstd Air Conditioner Maintenance with 3 easy tips. There are a few important steps that you should focus on in regards to air conditioning maintenance to ensure that it works as efficiently as possible. Maintenance is important as it prevents unexpected costs. This is one of the most important maintenance steps that must regularly be done to ensure that the conditioner performs at a high level. By lubricating moving parts with oil, the force of friction is drastically reduced and thus increasing efficiency. Also, the amount of electricity consumed by the lubricated equipment is far lower than when a unit is not lubricated. The efficiency and effectiveness of air conditioners mostly depend on filters. As the conditioner functions and works to keep the house cool the filters may become clogged. As a maintenance practice, the filters must be regularly unclogged, and cleaned to maximize their operation. When the filters are dirty or clogged or blocked, they tend to interfere with the normal flow of air thus defeating the function of your air conditioners. By extension, if dirty air gets into the evaporator, then the coil’s ability to heat will be impaired. In some instances, clogged or dirty filters will need to be replaced as cleaning them may not be an option. It is highly recommended that occasionally a wire is passed through the drain channels of air conditioners. If it happens that these drains are clogged, then the air conditioner may not be able to reduce the level of humidity in the house. This can allow a lot of moisture to collect in the house leading to problems such as discoloration of carpets and walls. As you can see, maintenance is important to keep your air conditioner working at a high level. As a professional HVAC Contractor company in Utah, we can performance maintenance on your heating and cooling needs in a cost effective manner. Best quality HVAC products ! When you want to get the best heating & air conditioning products, there are 2 Things that you need to keep in mind. 1. Quality Products- You want to make sure you get products that will last, and won’t be thrown away in just a few months. 2. Reputable Company- It’s important that you work with an experienced Utah heating and air conditioning company to match the correct product to your situation. If you keep this 2 important things in mind, you can make sure to get the correct products you need. Make sure that you are dealing with a reputable heating and cooling company. When you are looking for the best products, you have no choice but ensure that you are dealing with a reputable company. A reputable heating and cooling repair company is one that has been providing high-quality air conditioning related products for a long time. When you are dealing with a reputable company, there is a very high likelihood that you are going to receive great heating and air conditioning service. As an experienced HVAC contractor, we have a solid reputation for our heating and cooling repair and stand behind products we sell. You stand a better chance of receiving quality products when you stick to the major brands. However, this does not mean that little-known brands do not provide quality products. We can help you with your product selection to make sure you get the best brand for your air conditioning unit. There is no better way to learn more about the products that you intend to buy than reading reviews from other people who have used the products before. It should raise a red flag when you find negative reviews about a product. Positive reviews can be a good sign that the product has a reputation you can count on. When you look online or talk to past clients, you will see we stand behind our work and products!